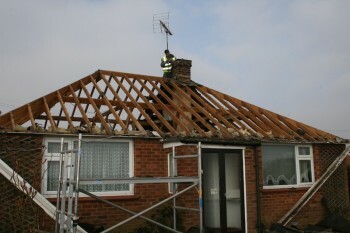 The 28th February was also the first day of the demolition. At 9.30am Stuart received a call he had been half expecting but really didn’t want. 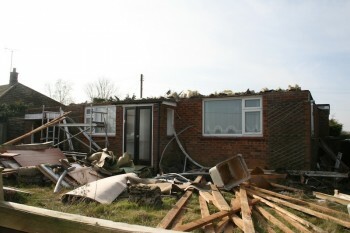 The contractor to say that the main construction of the bungalow included an asbestos skin. 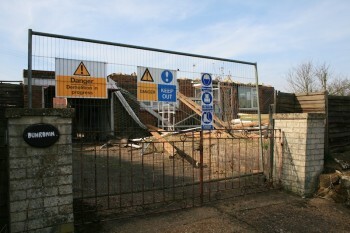 Negotiations and an agreement for a further £3000 to clear the asbestos and demolition got underway straight away. 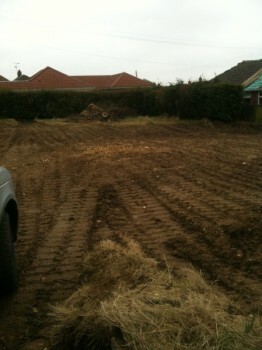 Within a week there was no sign that a bungalow had ever been there. 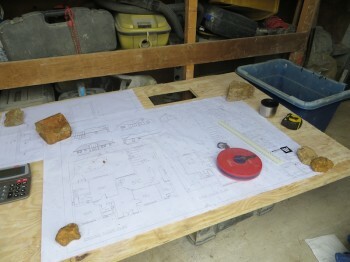 Setting out – the process of transferring the image on the plans to the ground that the bungalow is to be built on. The only reference point we had was the manhole adjacent to the right hand border but the position of the manhole on the plans did not match it’s position in reality. 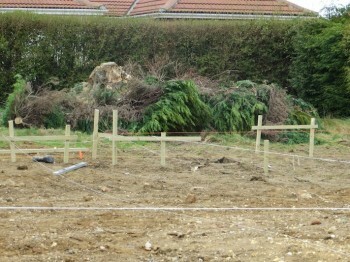 That meant that we had the opportunity to have a discussion with the neighbour before hammering the first marker into the ground, to make sure that the position of the building met with his approval too. There followed the laborious process of marking each edge with wooden stakes and joining them together with string until the ground looked like it was covered with a giant “cats cradle”. Every measurement had to be scaled up from the drawings, every angle checked with a huge set square to make sure it was a right angle. 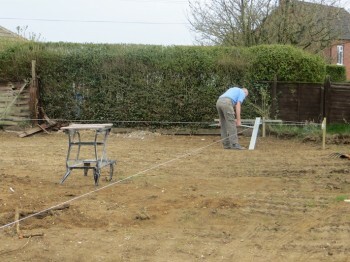 When the layout met with approval, the line of the centre of the brickwork was marked on each of the stakes and the strings removed one by one and wound back up, to be re attached when the contractor comes to dig the footings.